Your will is a legal declaration of how you want your property to be distributed upon your death. We hear from clients time and time again that they want things to be as “simple as possible” for their family, and so, they assume that a “simple will" is all that they need. Unfortunately, the opposite is often true. While a "simple will" may feel easy...it often creates a host of problems down the road that could have been avoided with more comprehensive planning. Consider Whitney Houston’s estate. In 2012, Forbes.com valued the deceased singer’s assets at anywhere from $10-$20 million, or more. On March 7, 2012, a Probate Court in Georgia approved Ms. Huston’s will. The will created a “testamentary trust” for Whitney’s 18-year old daughter Bobbi Kristina. The trust will hold Bobbi Kristina’s inheritance and distribute the funds over several years, instead of all at once. In this case, a trust is preferable to a simple will because a will requires that the deceased’s assets be distributed immediately. Had 18-year old Bobbi Kristina instantaneously inherited over $20 million, her family members (including Houston’s ex-husband Bobbi Brown) could have legally contested the will on grounds that she was not mature enough to manage the estate. If the family had been successful, they would have gained managerial control over Bobbi Kristina’s finances, thus distorting Houston’s intentions for her child’s inheritance. Luckily, Whitney Houston’s will contained a trust for Bobbi Kristina. The trust contained instructions that Bobbi Kristina should inherit the money over the course of ten years. Most courts would see this inheritance as a reasonable sum of money to manage and would not allow relatives to contest the will. Whitney Houston’s story exemplifies why a multi-million dollar celebrity might find a trust useful, but trusts can also be extremely beneficial to the average American. Trusts do things that a simple will cannot. 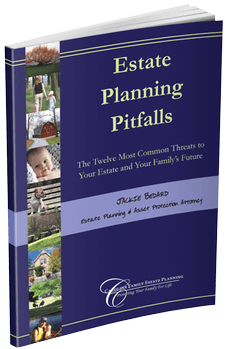 A will cannot avoid probate, provide your family with privacy after your death, clearly lay out your wishes, or give your family guidance about your health care decisions, and provide tax savings. A will is required to pass through probate before your estate can legally be passed on to your heirs. Notice that even Whitney Houston’s will had to pass through a probate court before it could be acted upon. Probate creates a public record of your estate so that creditors can satisfy any debts you owe them. The process also ensures that your property is divided up according to your will, or according to the law if there is no will. The entire operation is lengthy and can be emotionally taxing for your family. However, assets passing to an individual by means of a trust, instead of a will, can avoid the probate process entirely. This is because assets placed in a trust are legally owned by the trust and there is no personal debt for creditors to lay claim to. The structure of a trust is designed with rules that detail how the trust’s property is divided up when you die. Avoiding probate gives your family more privacy. The probate process requires that your will be filed with the court and made public record. Many families would prefer to keep private any information about what property they own, how much it is worth and who is inheriting it. A trust is a document that remains private, meaning that it will insulate your family from the spotlight of the community and from the claims of creditors. A will only takes effect upon your death. The shortcoming of a simple will is that it does not name someone to make decisions on your behalf if you should become incapacitated (e.g., you fall into a coma, you’re in a car accident, or you have a stroke). A durable power of attorney, a separate legal document, can appoint an agent that is vested to make decisions in lieu of you. The decisions can be anything from how to manage your financial assets to which school to send your kids to. However, it is important to note that a will can do none of these things. A will alone cannot illuminate your wishes about your personal health care and end of life decisions. For example, if you are in a vegetative state, a will does not tell your family whether or not you would want mechanical intervention measures, or whether or not you would prefer to be an organ donor. A thorough estate planning can protect your beneficiary’s inheritance from a variety of risks, including financial irresponsibility, divorce, lawsuits and creditors, unnecessary taxes, nursing home expenses, and more. However, these protections are rarely included in “simple” wills.